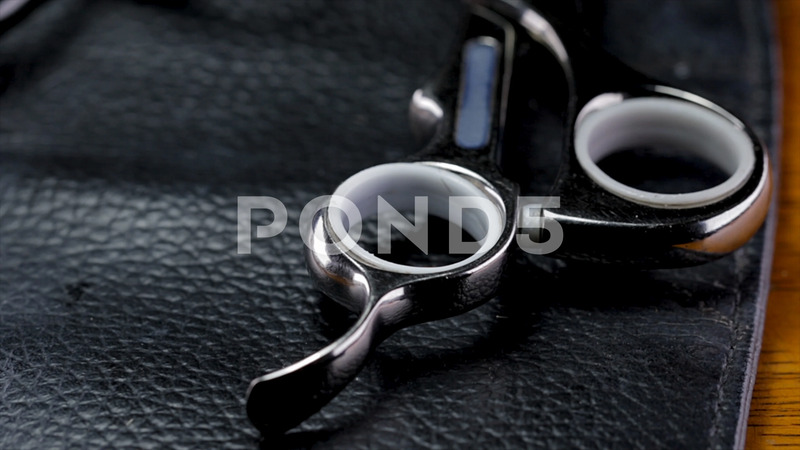 Description: Zoom in on hair dressing scissors in a leather pouch. Professional hair salon tools used in a beauty or barbershop for grooming woman's hair. Modern professional beauty boutique.